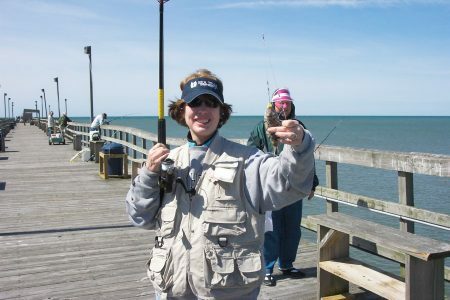 This weekend in Brunswick County, NC brings all kinds of opportunities for enjoying yourselves. Starting on Friday, from 10 AM until 2 PM you can take part in Oak Island Earth Day in Oak Island, NC at Middleton Park. Music will be emanating from the St. James Community Center in Southport, NC, on Friday evening at the Black-Tie-Optional Gala. For another kind of musical fun on Friday evening, you might want to take the Bald Head Island Ferry across the water to The Village Chapel in Bald Head Island, NC. Beginning at 7:30 PM, the Friends of Music concert will feature the silent movie, The Hunchback of Notre Dame, accompanied by Michael Britt on the organ. What fun! Saturday begins with the Oak Island Lighthouse Run in Oak Island, NC which includes Phlock After Run Celebration. You might want to take in the Plant Giveaway in Leland, NC beginning at 10 AM and/or mosey on down to Shallotte, NC for the Bash at the Beach. This car show will be held at the Home Depot Shopping Center where you could also get in some shopping. On Saturday Evening HOOF (Helpers Of Our Farm) and Greenlands Farm will host Art Gala Fundraiser in Bolivia, NC from 6:30 PM until 8:30 PM at 668 Midway Road SE. Tickets are available at hoofnc.org. “The evening’s festivities will include a meet and greet with a few HOOF animals, gourmet farm charcuterie, a silent art auction, and live music. Wine and beer will be available for purchase, 100% of wine sales benefiting HOOF, thanks to JP Bourgeois for his kind donation of the wine. Come and meet new friends as we all enjoy the wonderful world of art and celebrate the connections HOOF brings within your community.” On Sunday, you could head to Brunswick Forest in Leland, NC for the Brunswick Forest Veterinary Hospital Hound Hustle. This event benefits the Brunswick County Animal Services. Easter’s on its way and on Thursday, April 13, you can hop on over to the Spring Market in the Sunset Beach Town Park in Sunset Beach, NC at 206 Sunset Boulevard. The event runs from 10 AM until 4 PM. Here you can stock up on last minute items for your Easter meal and celebration. Everything will be handmade, homemade or homegrown so you can be sure of the freshness and quality of all items. Take the family, including your dog(s), and have your picture taken with the Easter Bunny by Paws Ability. In Southport, NC, on Friday and Saturday, April 14 and 15, you can enjoy the Southport Spring Festival & Azalea Sale. This annual event is held in Franklin Square Park at the corner of N. Howe St. and E. West St. The two day festival begins at 10 AM on both days and ends at 5 PM on Friday and 4 PM on Saturday. You can enjoy the music in the air while the kids enjoy activities. Your dog is part of your family, right? So why not involve him/her in the Easter fun as well? Oak Island Parks and Recreation Department will be holding their first annual Doggie Eggstravaganza on Saturday, April 15, at the Dog Park in Bill Smith Park in Oak island, NC. This event will run from 11:30 AM until 12:30 PM. There will be a hunt for dogs over 25 pounds and one for dogs under 25 pounds. There will be prizes and treats for finding the eggs. The Museum of Coastal Carolina Family Day will also be held on Saturday, April 15. The museum is located in Ocean Isle Beach, NC and the event will run from 10 AM until 2 PM. Kids’ activities will abound and folks from the Ocean Isle Beach Sea Turtle Protection Organization will be available as well. For a most unusual egg hunt on Friday, April 14, you can take the kids to Wilmington, NC for the annual Battleship NORTH CAROLINA Egg Hunt and Carnival. From 10 AM until 2 PM the kids can have lots of fun at this event. There is a fee and the event is weather dependent.